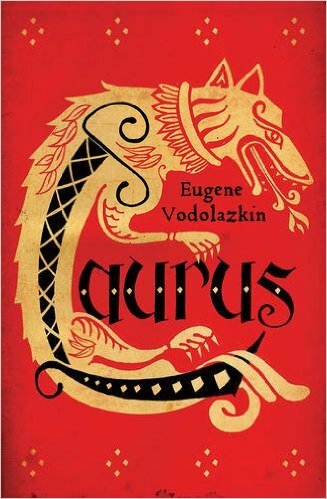 The greatest discovery of my reading life this year has been the extraordinary novel, Laurus, by Russian author Eugene Vodolazkin, beautifully translated by Lisa Hayden. Set in the Middle Ages, around the life of a Russian healer and mystic, it is bold, brilliant, spiritually profound and utterly absorbing. I’ve been raving about it to anyone who would listen ever since I read it–and thank you to my friend and fellow author, Natalie Jane Prior, for first drawing it to my attention! And now I’m absolutely delighted to be bringing you an interview with Lisa Hayden, whose pitch-perfect English translation has so skilfully brought Laurus to readers all over the anglophone world( the book has of course collected many fantastic reviews). Fresh from a trip to Moscow where she won the prestigious Read Russia prize for translation, in the contemporary literature category, Lisa generously answered my questions with great insights and interesting observations. Enjoy! 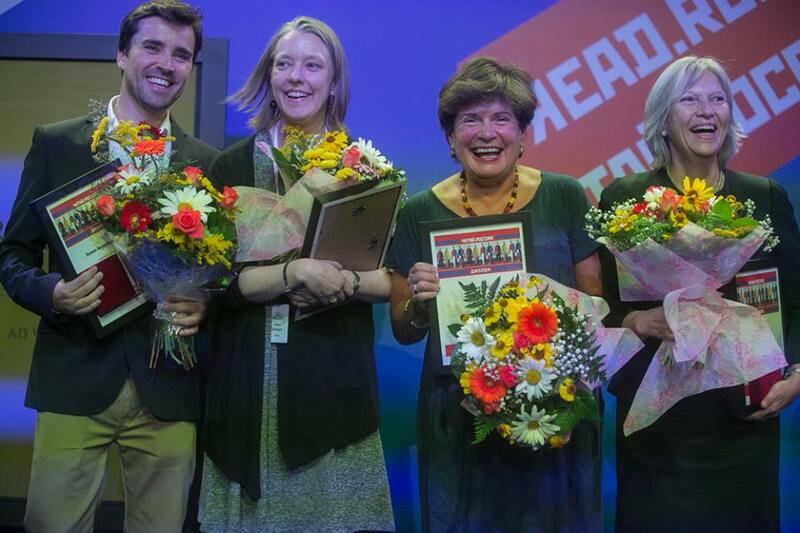 Lisa(second from left) at ceremony for the Read Russia Prize, with winners of other categories, Joaquin Fernandez-Valdez, Claudia Scandura, and Selma Ancira. Photo by Anatoly Stepanenko, used with his kind permission. First of all, Lisa, congratulations on your wonderful translation of Laurus! It must have been an extraordinary undertaking. How did you prepare for it, before you even started the writing work? And how long did the whole process take? Thank you! I’m glad you and so many other readers have been enjoying the translation. Laurus was tremendous fun to translate and it seems like that comes through for readers. I don’t generally do much before starting a translation other than reading the entire book before signing a contract. I don’t do a lot of advance research since I prefer to take each difficulty as it comes, though I often find that author interviews give helpful insights into an author’s intentions. All that said, when I was starting Laurus, I gathered lots of books about the Middle Ages. Though I can’t say I sat down and read any of them cover to cover, I enjoyed paging through lots of them, reading passages, and getting a feel for medieval prose, herbals, and life. An anthology of medieval literature that I read in college was helpful, too, for background information, ideas on vocabulary, and a look at translations of a text or two that Eugene borrowed for Laurus. As for timing, if I remember correctly, I had about eight months from start to finish to work on the translation, with editing taking more time later on. Were you in touch with the author, Eugene Vodolazkin, during the translation process? Eugene and I first met in Moscow, in September 2014, and have kept in touch ever since—he and his wife have become friends and I love spending time with them. Eugene answered questions for me and even read through my entire manuscript, which was extraordinarily helpful. He’s just wonderful to work with because his English is very good and he understands the role of the translator. We think of each other as the co-authors of Laurus. Laurus is an absolutely superb, moving novel with a richly evocative style, truffled with piquant language and a complex narrative chronology. Yet though it’s so artistically accomplished, and the best evocation of the mystical experience I’ve ever come across, it is also very readable and accessible. I imagine that it must have been very difficult to recreate that balance between art and accessibility. How did you do it? To be honest, I don’t really know! Of course I knew what awaited me because I’d read the book before I began translating. Really, though, for me translating any book is, most of all, a matter of sitting down each day, hearing the text in my head (this sometimes includes reading it out loud), and finding English words that can combine into phrases and sentences that feel like they capture the meaning, energy, style, and spirit of the Russian text. I’m pretty intuitive, so I follow my instincts. I usually go through about five or six full drafts before turning in a final draft. I read the entire book aloud to myself at least once, edit it on paper several times, and read it once on an electronic reader. 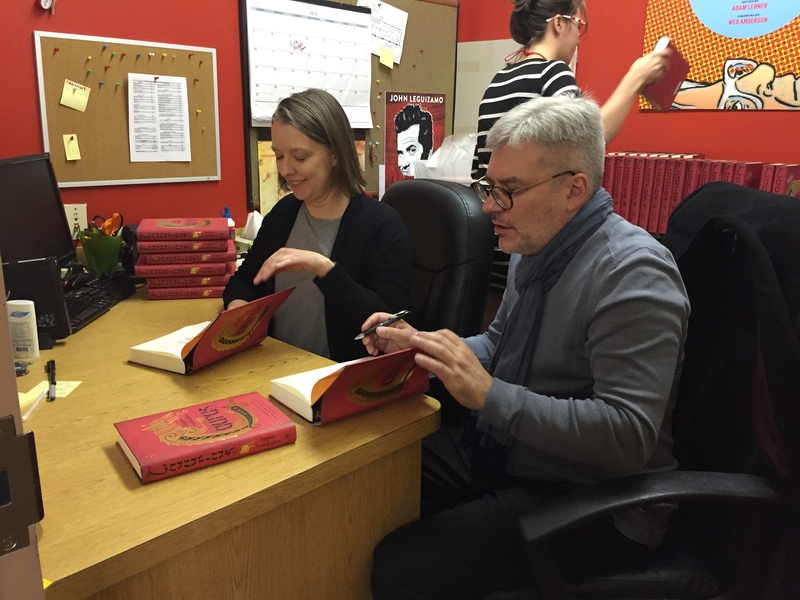 Before Eugene saw my draft, I showed it to two Russian colleagues: Liza Prudovskaya checks a draft of all my translations and Olga Bukhina specifically looked at the old language in Laurus. They answered questions, corrected mistakes, and gave me further ideas. They’re both just wonderful to work with. So are my editors at Oneworld: publisher and editor Juliet Mabey is very no-nonsense, a quality I value highly in an editor and she has a fantastic feel for books that’s won Oneworld numerous awards. And copyeditor Will Atkins is just phenomenal. Beyond straightening out twisted syntax and correcting grammar and stylistic slips, he asks tough questions about usage and vocabulary that help me sharpen my texts. I enjoy working collaboratively, so all the feedback, queries, and ideas from Liza, Olga, Juliet, Will, and Eugene freed me up to take appropriate risks with the language in Laurus. In the end, I think what happened is that I had my intuitive feel for the text, translated the book, and then, thanks to all the drafts and comments, felt confident that my translation fit with the original in terms of meaning and style. Each book is different but that’s my general approach to all of them. You are currently working on the translation of another book by the same author, The Aviator, which will be published in 2018. Can you tell us a bit about it? I love The Aviator! The novel begins when a man wakes up in a hospital suffering from amnesia. He gradually begins remembering his past and his identity, and those memories are especially interesting because of how they fit with Russian history. I don’t want to say much more because what’s happened to him is so, hmm, unusual. It’s a book with a Petersburg setting that fits beautifully with Laurus and Solovyov and Larionov, which will also be published by Oneworld: all three books look at time, history, and identity, forming a beautiful triptych. I’m working on a first draft of The Aviator now and enjoying how it translates. Russian-French writer Andrei Makine, in one of his novels, Le Testament français, has his narrator say, ‘The translator of poetry is the poet’s rival; the translator of prose is the novelist’s slave.’ What is your opinion? Do you have a philosophy of translation? I can’t say that I have a philosophy of translation other than very basic things like “be flexible” and “get the work done,” something that applies to all levels of the process itself. Each book is different so I feel like I work under unique unwritten guidelines for each. Most of those guidelines are subconscious and sometimes I don’t realize what I’ve been doing until rather late in the process. The line you mentioned from Makine’s book comes from Vasily Zhukovsky, a nineteenth-century poet and translator. I’ve heard and read this before and I suppose it always irritates me a bit because I’m a prose translator and, despite knowing what he’s saying, I don’t feel like I’m any novelist’s slave on even a metaphorical level! Of course I’m very fortunate that my authors tend to see their translators as co-authors: they encourage me to approach their texts creatively and we often make changes together. Translating fiction is very creative work: even though I’m not restructuring a plot or rewiring character development, I’m a writer who’s supporting the author’s plot structure and character development by choosing words and putting them in an order that feels appropriate for capturing the language and literary devices in the Russian text by establishing a poetics for the translation. It’s very complex work and it’s a tremendously interesting and gratifying form of writing that requires a lot of thought about and feeling for the text. What other literary works have you translated? I haven’t been translating for a long time so this will be fairly quick to answer, particularly if I stick to recent and upcoming novels. I’ve translated another book for Oneworld, Vadim Levental’s Masha Regina, a novel about a young woman from a small city who goes to St. Petersburg and eventually becomes a filmmaker. Since I’m from a very small town, I particularly identify with Masha’s provincial roots. I translated Marina Stepnova’s The Woman of Lazarus, a rather edgy family saga, for World Editions and am finishing up her Italian Lessons now. I love Marina’s feel for history and pain, not to mention her humor. Then there are three other books for Oneworld that are in various stages: Eugene’s Solovyov and Larionov, about a historian and a general who live in different times; Eugene’s The Aviator, which feels so close to me right now; and Guzel Yakhina’s Zuleikha Opens Her Eyes, about a kulak Tatar woman who’s exiled in the 1930s. Guzel’s book is a historical novel that looks at Soviet-era difficulties but it’s also very lyrical in places, with imagery and descriptions of nature that are very moving. I like to translate books that have the power to make me cry. That’s why I like all these books: they’re very different but they all move me. You are a Russian language specialist, and as well as translating literary works such as Laurus, you have taught the language. What drew you to Russian in the first place? 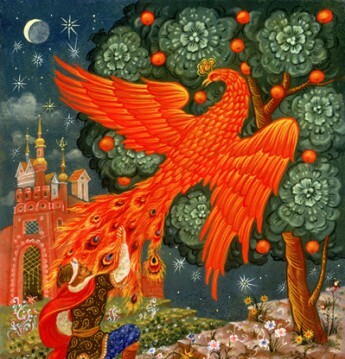 Literarily speaking, stories about Baba Yaga were the first thing to draw me in, when I was very small, then I read my first Chekhov story, “The Bet,” in the sixth grade. I went to college hoping to be a biochemist but nearly failed calculus: I signed up for first-year Russian after loving a Russian history course and went to Russia, which was then the Soviet Union, for the first time in 1983. After that came grad school in Russian literature, though I dropped out with just an MA because I couldn’t picture myself teaching and researching for the rest of my life. I love Russian and I love writing but don’t have it in me to construct plots and develop characters, so translation feels like ideal work for me. Thank you, Sophie, for inviting me to answer these questions for you. I appreciate your interest in Laurus, Eugene’s writing, and my work. Happy reading to everyone!